Nice clean one owner lease return. 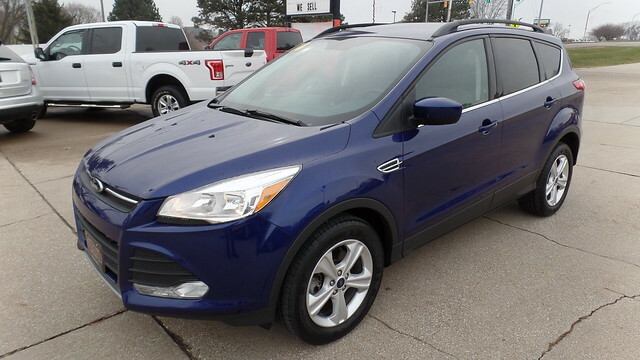 This Escape comes with the 2.0 ECO Boost engine paired with an automatic transmission. Some of the equipment that comes with this nice SUV is Key less Entry, Driver Door Key Pad, Navigation System, Sync System, Bluetooth, Sirius Radio, New Tires, New Rear Brakes, Power Driver Seat, Back up Camera. This vehicle comes with the remainder of the factory warranty.